Today, we began our meeting discussing dishonesty and making assumptions. 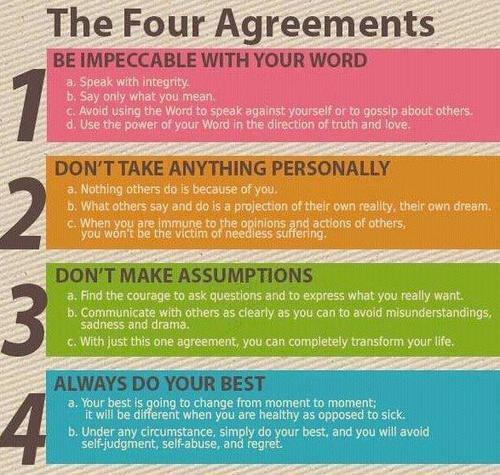 Below are some of the resources on Don Miguel Ruiz and the 4 Agreements, as well as a chapter on Making Assumptions from the book Be a Changemaster by Karla Reiss. In case anyone is interested in exploring this topic further, I thought I would distribute them to the group.